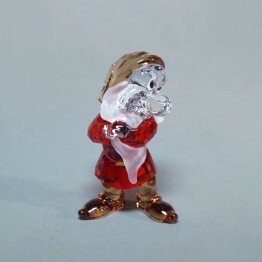 Grumpy is part of the Disney Collection. 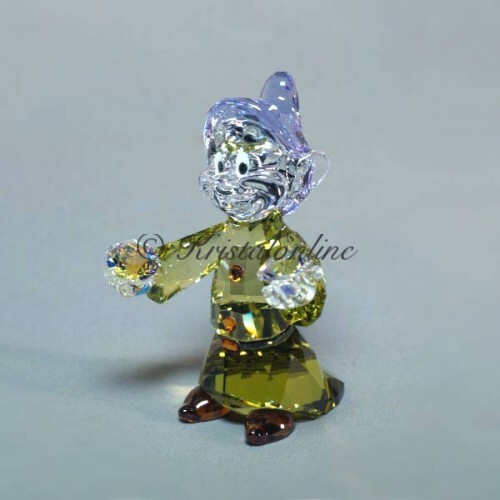 Dopey is made in clear crystal. His belt buckle is made of black crystal. He has a violet hat and brown boots. 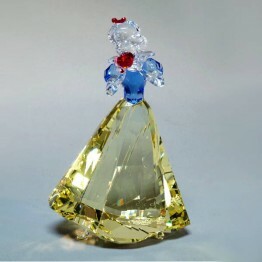 His clothes are made of green crystal. He has two diamonds in his hands which are made of AB crystal. Dopey can not talk and is also very clumsy. The other Dwarfs do not feel bad, because he is very funny. Snow White finds him very sweet, and he lets her laugh often.